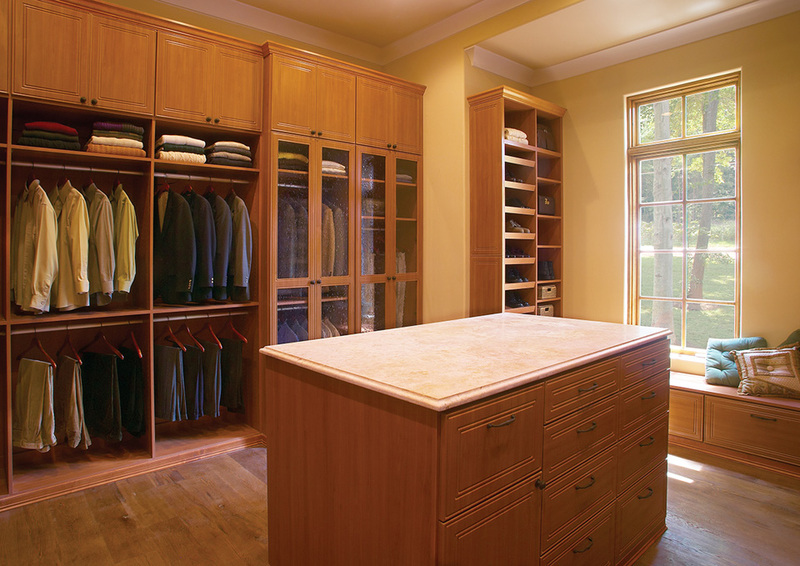 Use long, medium and double hang areas to maximize closet storage space. 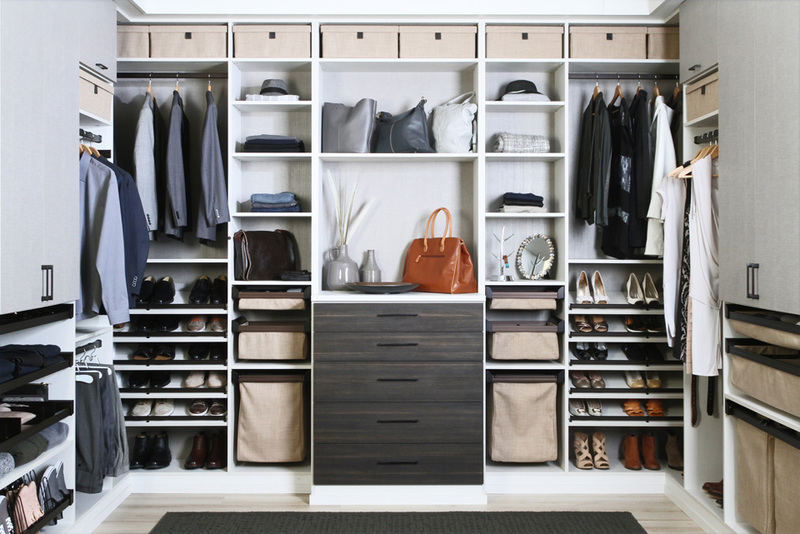 Build your closet storage systems off the floor for easy cleaning and flooring changes. Add a Valet Rod to get your clothes ready for the next day.